This image was started as part of the 3dRender lighting challenges. I decided to spice up the original scene with two characters from the novels of Fritz Leiber: Fafhrd and the Grey Mouser. 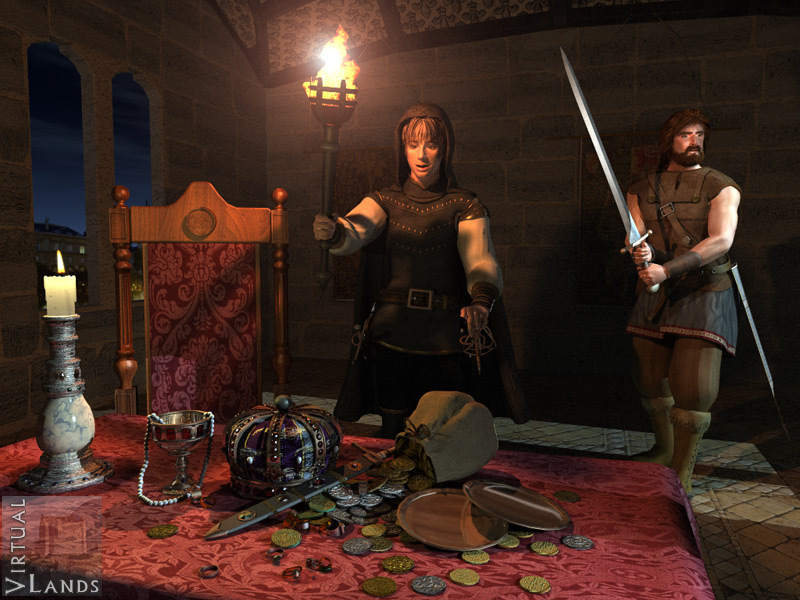 Both characters were done in Poser using a selection of props and products. The Mouser is based on DAZ David while Fafhrd uses Michael 2. Their faces were customized using Argile from N-Sided.